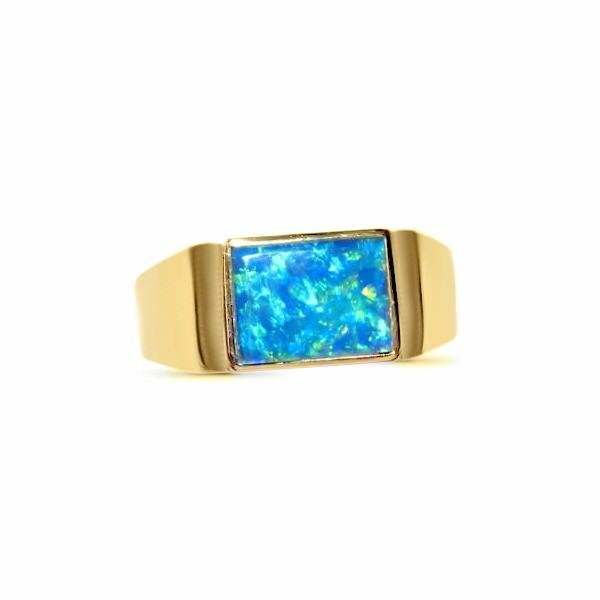 A quality Opal ring for men with a wide band of 14k Gold set with one rectangle cut Gem Grade Lightning Ridge Black Crystal Opal. 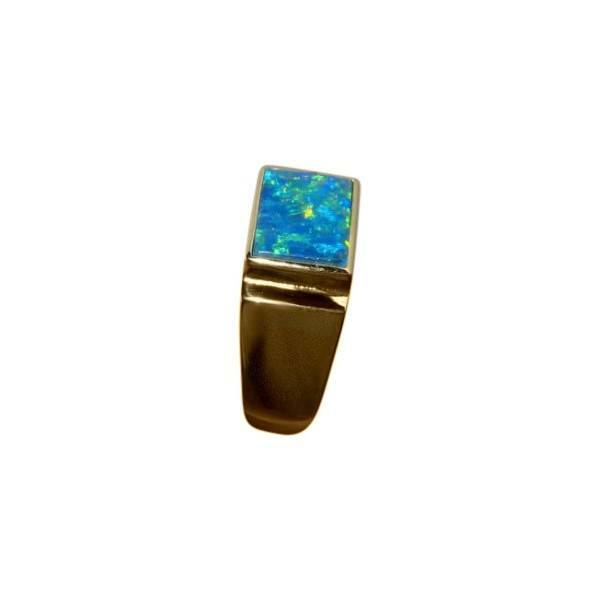 They Opal weighs approximately 1.5 carats and flashes Green and Blue in a lively play of color you will see in the video below. The Gold is finished with a high polish and is shiny despite any dullness or dark areas you may see in the images. 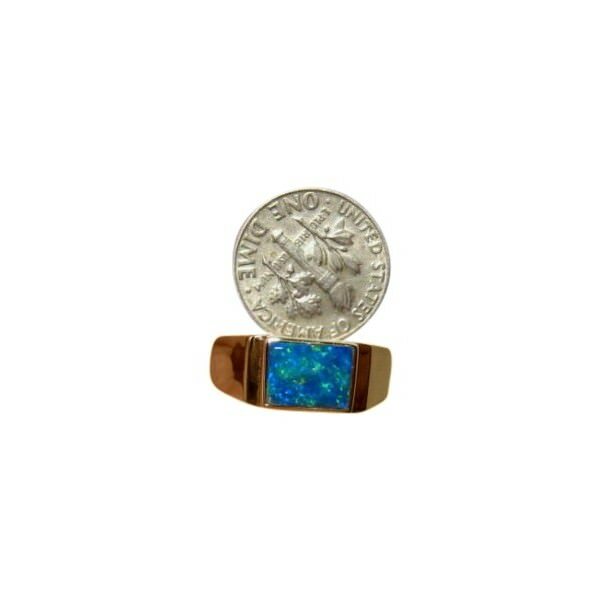 The video will show the shine and assure you of a quality finished ring. It is ready to ship as detailed below or will take about 7 days for any other ring sizes or change of Gold color.